I've always thought that if without this gift I would be called “nothing,” then I’d better figure out what it means and acquire it! There is so much description of the virtue, that in reading about it I get a sense of what it means, but not a complete understanding. The shorthand definition in these verses being, “the pure love of Christ.” But what does that mean exactly? On Sunday, God gave me a gift of insight into the meaning of the attribute that I had never before considered: Charity is respect for others’ agency. We know Satan "did not know the mind of God" and God's allowing Satan to tempt Eve was the catalyst that helped her to wisely discern between the lie and the truth. That being, that she understood she would have to accept death in order to follow the rest of the commandments that God wanted her to keep, namely to "multiply and replenish the Earth” with Adam. A commandment that they could not keep without their bodies becoming mortal and filled with blood, a consequence of partaking of the fruit. God respected their agency to allow them to make those choices for themselves, with a truthful warning of what the consequences of partaking would mean to them. To have given them anything else but two choices would have in fact been a violation of their agency. The greatest and most godly gift that our Father in Heaven has ever given to us - and the only thing that we could ever hope to offer Him - is our agency. And it is a great gift. A wondrous gift when you think about it. The gift to choose whether or not we will follow God. Without a recognition of this gift - our ability to choose - we become like animals. On the other hand, to recognize, appreciate and use agency wisely makes us more like our Heavenly Father, more godly. I see a parallel in how giving all that we are to God in using our agency to serve Him, is symbolic of His giving His Son Jesus Christ to suffer and die for us. God’s greatest work and glory are His children, and Christ was His only physically literal son, AND perfect, sinless child. We both give each other the most precious of our gifts in order to come closer together. I submit to you, that charity is accurately described as respect for others' agency. While at first mention, this definition seems to be overly permissive of sin, it must be pointed out, that agency can only exist when someone is enticed one way or another – good or bad. So, a respect for agency necessarily includes instructing/enticing/exhorting others to follow what is true so that they might be enticed to go another way. Indeed, Christ's last message to His disciples was to "feed my sheep." Feeding God’s sheep means enticing them to the truth and to use their agency for good. Descriptions of the word charity, include words like, "suffereth long," "is patient," "endureth all things. . ." So, respecting others' agency - especially when they choose a wrong path - can be a painful process for those who love them. It involves an endless patience that hopes on and does everything in it’s power to entice others to follow God. Charity, while painful is a hopeful characteristic. All that Christ did, was encourage us to come to Him and to improve. The gift of His life, summed up in the atonement and resurrection, was really a gift of hope coupled with our agency. Because with our agency, we all would be able to make mistakes (and we all do), this was a necessary gift or else we all would be lost forever. ANY sin, as we know keeps us out of the presence of God, if not repented of. But because of the pure love of Christ, we all have the agency and opportunity to have Eternal life with God, despite our sinful natures, if we would but turn to Him and repent of ALL our sins - NOT by force, but by our very own choice. Christ could discern men's hearts. He gave the messages that each individual needed to hear that gave them the best chance to change their course. With the woman taken in adultery, He said - "He that is without sin among you, let him first cast a stone at her." A reminder that we are NEVER to condemn others with words of final judgment – and if we have done so, we need to repent. 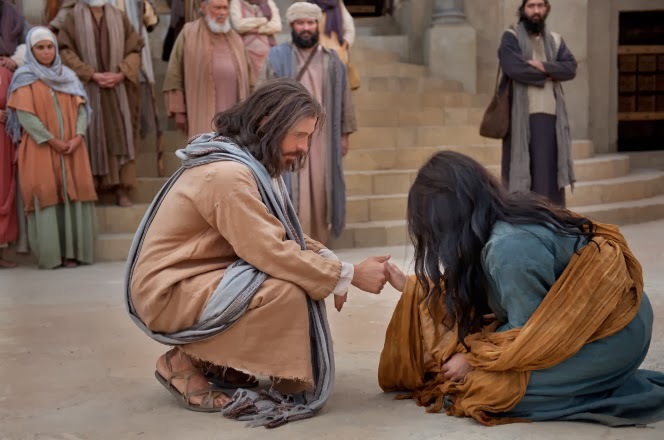 He told her He didn't condemn her and instructed her, "Go and sin no more." A recognition that what she had done was wrong, but that through Him, she could and should change her course. Her final judgement was not yet at hand. What does righteous use of judgement mean? Elder Oaks gave an amazing talk on that subject called “Judge Not” and Judging. I highly recommend it for gaining more insight into what this righteous judging means. 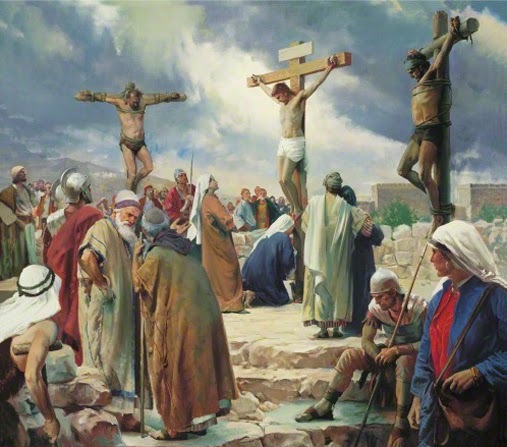 I would offer up that righteous judgement must always include a humility that always recognizes that we are not without sin and that our focus must also be first and foremost to repent of ALL sins in ourselves. It must also include a genuine love for the person we are making an intermediate (as in NEVER final) judgement about, and that it is focused on know how best to support, guide and entice that person to do better. Without proper understanding of truth and lie, we cannot guide in a correct direction. These things also have an order to them – they must happen within our own stewardship. Righteous judging in most circumstances looks a whole lot less like throwing stones, and a whole lot more like giving a hand to help someone up, dusting them off and pointing them in the right direction – and continuing to love and guide and exhort even if/when they go right back in the dirt, even if they choose to stay there. I believe that laying hold upon every good thing, may be interpreted to mean holding on, hoping on, and lovingly reminding others that they have agency to choose for themselves and that we respect their journey as we hope they respect theirs. But if they do not, we will be constant and true in our service to them nonetheless. It is also holding on, hoping on, and lovingly cherishing truth which gives us the appropriate perspective to be of any help at all. Charity; the pure love of Christ, and respect for others’ agency. Charity and the virtues and vices of different political/economic/social ideologies.